Order by Wednesday 19th December for Christmas Delivery. Smooth, mellow & crafted from the finest whiskies, this is 'the malt drinker’s blend'. 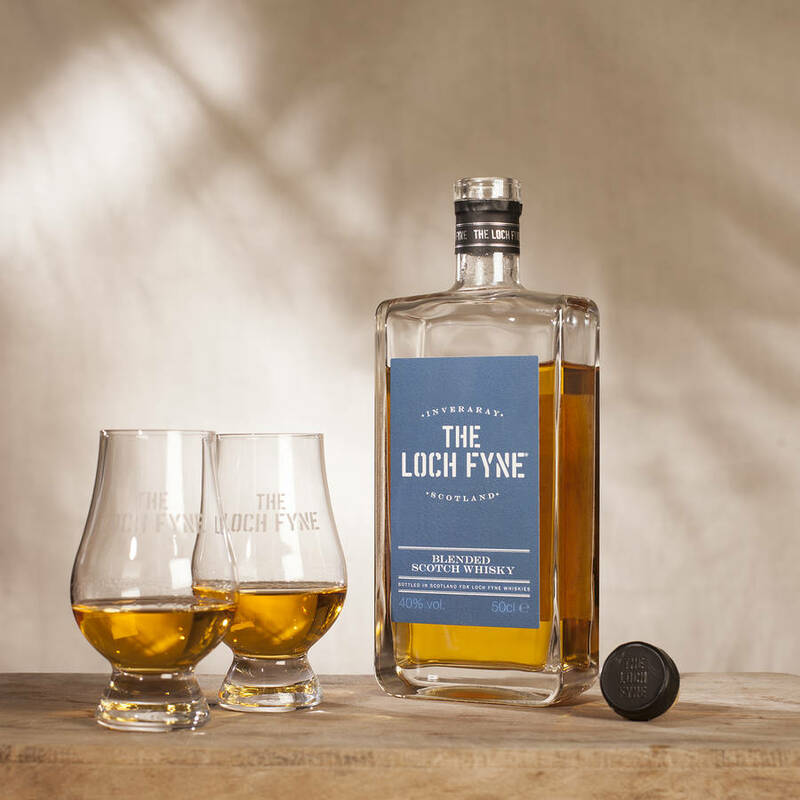 Presented in a beautifully engraved bottle and universally loved by our customers, The Loch Fyne Blend makes a perfect gift for any whisky fan. 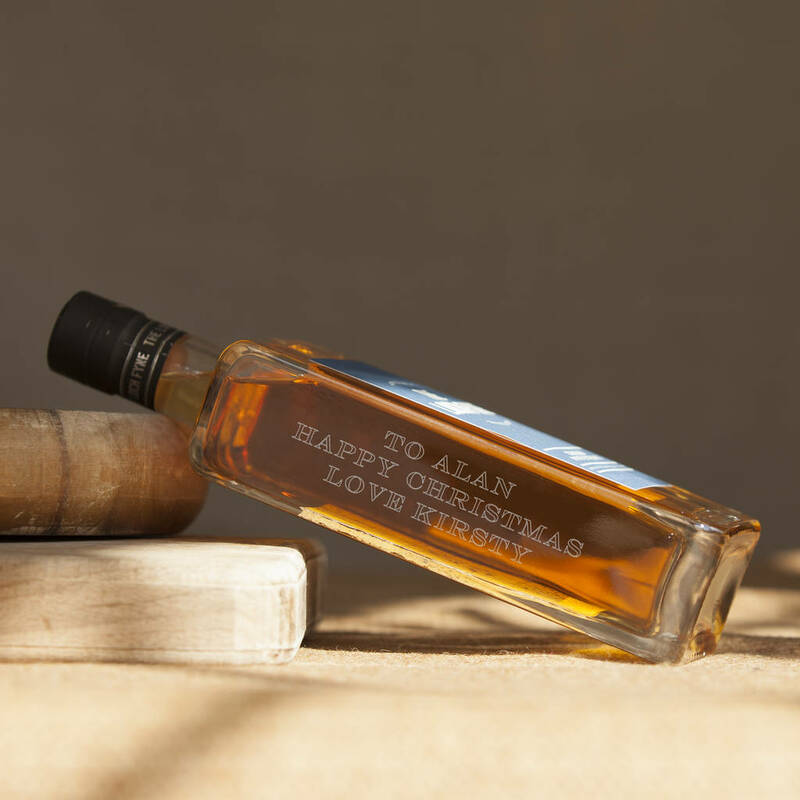 Whether it’s a gift for Father's Day, a birthday or another special occasion, personalise your bottle with a custom engraved message. We can add up to three lines of personalised engraving to your Loch Fyne Blend bottle, with up to 24 characters including spaces, on each line. So, whether you want to commemorate a special occasion such as Father's Day, a wedding, graduation, birthday or anniversary, what your bottle says is entirely up to you! 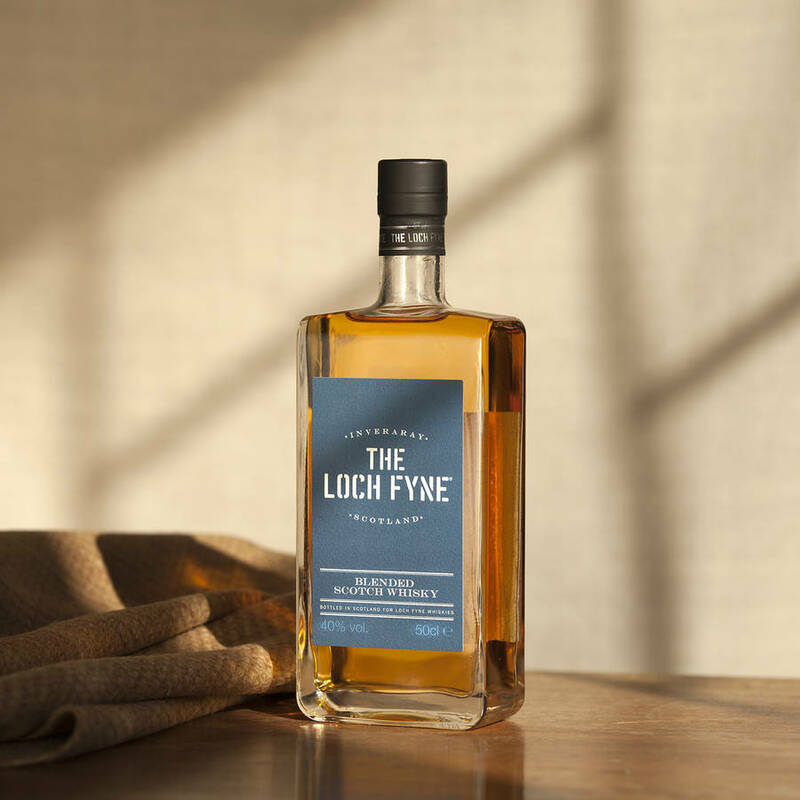 Please note: Our Loch Fyne Whiskies are presented in handmade glass bottles. Due to their handmade nature, these bottles can show small imperfections such as grooves and seams in the glass. 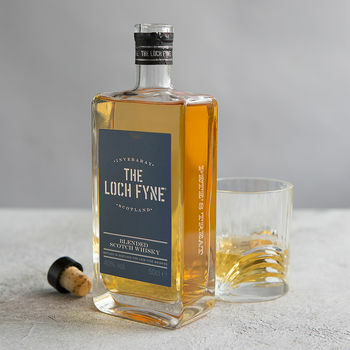 This product is dispatched to you by Loch Fyne Whiskies.